We’re pleased to announce that Height for Hire will be joining us again at Jobs Expo Galway. Their team will be exhibiting, as well as recruiting, at the west’s busiest careers fair. Register for your FREE ticket today and we’ll see you next Saturday at the Galway Racecourse. Height for Hire is a family-run access machinery rental business. Their headquarters is based in Ashbourne, Co Meath. The business has been operating for over 40 years since 1978. They have over 2,000 machines across 20 locations in four countries – Ireland, the UK, Hungary and Slovakia. They have the largest range of access machinery within the British Isles, split into four divisions – core access machinery, truck mounts, spider lifts and self drives. However, it is the way in which they deliver their rental service that makes Height for Hire different. They value uptime, constantly investing in the best machinery, renewing their fleet more often than the competition. This fact, along with their 24/7 Technical Support Helpline, has allowed them to cover their customers, even in extreme locations, around the clock. 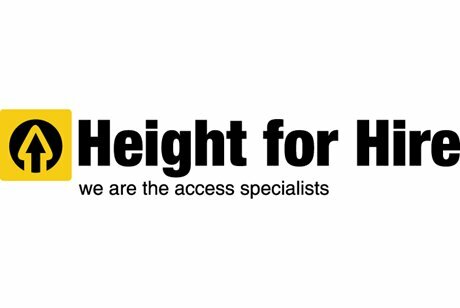 Height for Hire is not just an access hire company, but an access hire company with a heart. They’ve made it their business to bring safe working at height solutions to more people and places. They work together as a family to make this happen because they understand the importance of getting everyone home safe to their family.